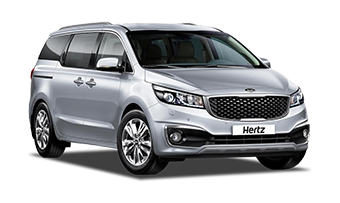 Rent a car from Brisbane Airport. The capital of the Sunshine State, where the subtropical weather warms visitors all year long. Only a 20-minute drive from Brisbane airport, the River City combinesalaidback small-town atmosphere with cultural nuances of a big city that two million Australians call home. Indulge in the beaches, shopping, and easily accessible adventures on Brisbane’s surrounds – coastal paradise can be found within a short distance north and south of the city. 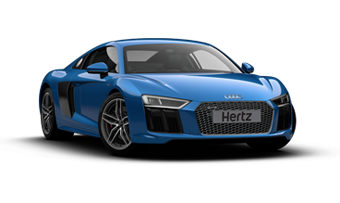 Hiring a car at the airport will make hopping from place to place an easy task. The best of the Sunshine State and the buzz of Brisbane is yours to discover. 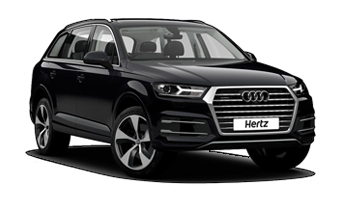 Pick up your car hire from Brisbane Airport and hit the roads! In the streets of downtown Brisbane, you’ll discover a burgeoning café culture, laneway and street art collections, assorted choices for shopping (Queen Street Mall is very popular), and die-hard sports fans. The bustling nightlife and natural escapes to a coastal oasis are aplenty. Heaps of events are organised across music, arts, celebrations, and more. A few include: Brisbane Festival 2018, Brisbane Comedy Festival, the latest Gallery of Modern Art installations, the Ekka, Oktoberfest, and Brisbane Asia Pacific Film Festival. Head up to the quiet Mount Coot-tha’s lookout in Brisbane’s inner west for a stunning view of the city – be sure your phone’s camera settings are on panoramic. Southbank is home to markets, street performers, and serves as an ‘arts precinct’ with GOMA, Brisbane Art Gallery, the Performing Arts Centre, and Science Centre all in one location. Or travellers can head to the West End, ideal for beer gardens, breweries, vegan markets, and an alternative vibe. We also recommend exploring the Botanic Gardens, Powerhouse Theatre in New Farm, The Gabba, Queensland's Cricket and Australian Rules Mecca, Glass House Mountains, and Lone Pine Koala Sanctuary. With so much to explore, hiring a car provides individuals with the freedom to tailor their own itinerary. How good is Brisbane’s positioning? With the Sunshine Coast, Hinterland, Gold Coast, Noosa, and Toowoomba at its doorstep, there are daytrips, weekend getaways, and longer excursions available (and easily accessible). Venture to Caloundra beach and soak up the sun while partaking in endless water sport options (think kayaking, windsurfing, fishing, jet skiing, and more) cascading across the seven beaches that make up the precinct. The UNESCO world heritage listed Lamington National Park is a perfect rainforest day trip. Embark upon a tree top canopy tour or trek through the lush hiking trails. There are pathways for all levels of fitness and ample camping spots available. We also recommend a full day of fishing, exploring the Great Dividing Range 4WD style, absorbing the sea breeze on Stadbroke Island, discovering Moreton Island, Springbrook National Park, or throw the map away and create your own road trip adventure. Wherever it leads you, it's sure to create memories for a life time in this equally majestic part of the world. Keen to learn more? Explore Brisbane’s natural escapes, beaches, cheap eats, best bars, road trips, and photographer’s guide. Check out our destination guides and ‘Places to Visit’ blogs for comprehensive travel insights. 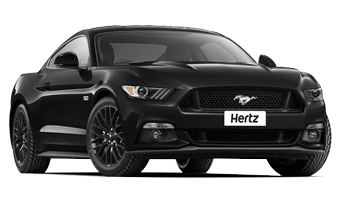 Hire a car from Hertz in Brisbane Airport today! Brisbane is within driving distance of a variety of sights and thrilling holiday destinations. Check out some of our favourite hotspots to help you make the most of your short stay. For a truly local experience, head to Brisbane’s inner city suburbs. We’ve provided a list of our top picks of the venues Brisbane locals swear by.